The staff is extremely friendly and knowledgeable. They made me feel at ease throught out the entire process, which for a first time patient was important for me. The office and exam rooms were also very nice and well appointed. Best of all I saw great results. I highly recommend Dr. Lamoureux for any of your dermatology needs. Went to Skin Dermatology for the first time the other day and the place is absolutely spectacular. I use to be in medical sales visiting numerous doctors offices and I have never seen a place like this. It is like the best spa meets a doctors office. The decor beautiful and the staff is super friendly and informative. Dr. Lamoureux has great bed side manor, listened to me and I felt total trust in her care. I will definitely be going back and referring Skin Dermatology to anyone who has medical or cosmetic dermatology needs. I am very pleased with each appointment, they care and are concerned about your skin and health. Everything was very well run, efficient and pleasant. The doctor, nurses and office staff were all friendly, competent and helpful. The entire experience was very positive. I wish all medical offices were run as well. Dead on time, everyone was very friendly and professional. This was my first contact with Dermatology and skin health. I expect to continue with you for a long time to come. Dr. Lamoureux was very knowledgeable, patient and precise. Everyone was kind and knowledgeable. My questions were answered and I will definitely return and recommend others to your practice. Appointment was on time, employees are professional and polite, skilled medical staff. I was very happy with Dr. Lamoureux! On time. Good reception and check out. Nice facilities, and good medical and service staff! All staff were very friendly and helpful. This was my first visit and I was impressed with how smoothly the appointment went. Thank you all. I was most pleased with the entire appointment. The doctor was very helpful, kind and seemed to be doing as was needed when I went to her for the whole body scan. The staff was very thoughtful as well. Everyone was very professional and courteous. Could not have asked for a better place to go. Will be letting my friends know they should get their bodies checked out also. 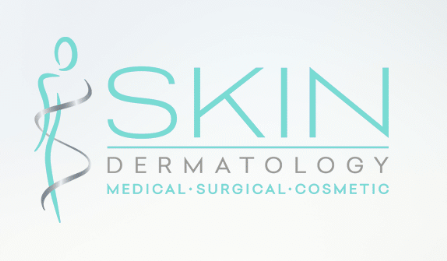 Skin Dermatology is dedicated to creating the best possible patient experience while providing the highest quality care. we are committed to caring for every facet of your skin and doing it exceptionally well.